Vacancy : Lead – Legal & Regulatory Ops – IND23058 : Airtel. Comments Off on Vacancy : Lead – Legal & Regulatory Ops – IND23058 : Airtel. Bharti Airtel Limited is a leading global telecommunications company with operations in 20 countries across Asia and Africa. Headquartered in New Delhi, India. Timely filing and effective handling of Litigation & Legal Notices. The incumbent is in-charge of the all sorts of Litigation and legal notices, including Consumer matters. Litigation Management i.e. engaging, coordinating, briefing and follow-ups with the Advocates for purpose of Consumer (District Forums, State Commission, National Commission), Civil cases, Competition Commission Cases, Arbitration Cases and Criminal Complaints including Police investigations and help in reducing legal risk to the Company. Drafting and sending replies to the legal notices. To help in the Negotiation process and amicable out of Court settlement for Pre-Litigation and Post-litigation cases between the Company and disputing litigants. Providing proactive legal advice to avoid potential litigations. To perform contract management services which include, but are not limited to reviewing contracts to identify key terms and drafting and vetting as per internal customer requirement. Handling day to day operational changes in documentation like amendments, renewals, terminations, show cause notices etc. To be responsible for the legal and allied affairs of the group, is actively involved in briefing the matters to the advocates, preparing briefs and drafts for them handling and conducting cases with the advocates ,representing the company on various forums and courts ,appearing in various courts and before various authorities on behalf of the company. To educate the various department to bring in statutory compliance environment. 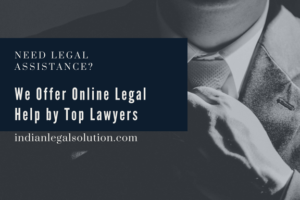 Healthy Way of Working with the Legal partners, consumer courts and other such forums in order to engage proactively with them and create an environment for speedy and fair resolution of Legal escalations. Performing actual contract management tasks as described above in the Principle Purpose of Job. Maintaining a work progress rate consistent with the targets assessed and established/assigned by the Management. Appropriate and proper escalation of issues, questions or concerns as and when required as per escalation matrix. Must Have: 3-4 years of post LLB experience of contracts review, redlining, drafting, vetting etc.